At Obsidian Inspections-Residential & Commercial, we are committed to doing our best with each and every inspection. Your Obsidian Inspection findings are backed by an exclusive limited liability inspection guarantee. If problems arise with specified elements of the property which were found to be in satisfactory condition, Obsidian Inspections-Residential & Commercial will provide reimbursement for selected unexpected repair expenses during the Limited Inspection Guarantee period. * Only Obsidian Inspecitons back our quality with a written inspection Guarantee. 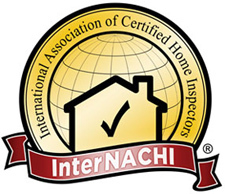 "Obsidian Inspections recently did a Home Inspection for us. Jacob responded quickly and did a very professional and detailed report showing photos and explanations of different areas in question and provided us with a copy. Jacob was courteous and did an outstanding job. I highly recommend Obsidian Inspections." "He was very through and he had very good energy very pleasant to work with and good follow up.."